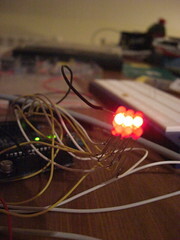 Wanting to do a fast electronic prototype of an idea I had last night (more description about this idea in a later postÃ , I discovered this morning the Arduino project. 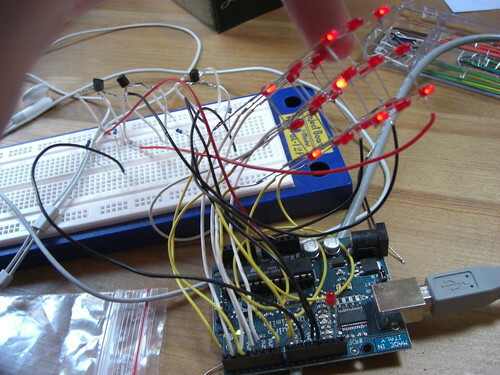 Now you can add enough outputs (led, motor, …) and inputs (switches, potentio-meter, …) to make any physical hack. Smaller version of the board are also available! This board is working on Windows/Linux/Mac platform, but I had some difficulties to make it really plug&play on my Mac. 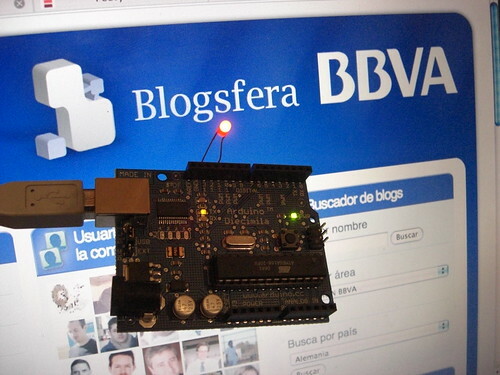 Follow Gck instructions on Arduino forum if you have some problems too. At last, I’ve just finished testing the PowerComms card for our Darwin RepRap machine. This is the summary of differents tasks during this process. 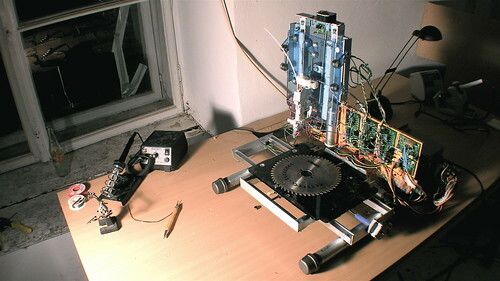 Zach has made an excellent job with pushing difficult Darwin parts on a web-shop. It’s simple and really faster than doing your own PCB cards, but supplies are limited, so I prefer to order parts step by step to give priority to people well more advanced than me in their RepRap building. I’ve never order any electronic componants on the web, and when I tried to do so on RadioSpares, it was so complicated I preferred to look for help. 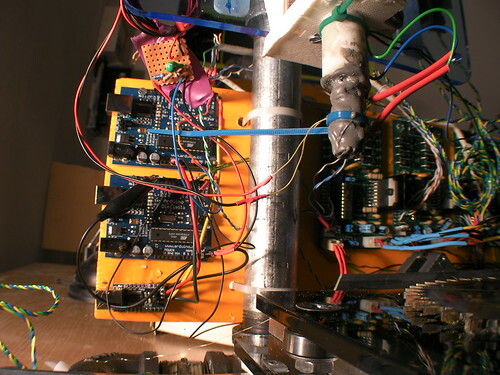 Zach has made a great video available on RepRap blog where he shows the steps to follow. 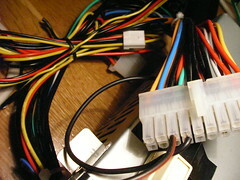 The only step to take care of is the PCB molex bug, it has to be reverted (5V to 12V position). It’s time of the century when you’ll find lots of people with dead computers at home, time to use their spare parts. After SMS-spamming all of my toulousian phone directory, Kortex answered first to the announce, and the power supply was retrieved the day after. Most of ATX power supply you’ll find won’t have a switch on them, this switch used to be connected on the computer motherboard. You can easily make one yourself. For this, I used an old lamp switch, and connect 2 wires between the green wire and one of the black wire on the big pin plug. I’ve been a bit lost at first with this usbserial cable, a unknown brand one. After connecting it to an ubuntu computer, it was detected as a PL-2303 chipset. After that, you just need to install one of the PL-2303 drivers for your Mac, and restart the computer. 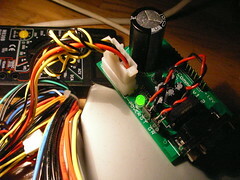 Connect the usbserial cable, place a wire between Tx and Rx (pin 13 and 14 on max232 chip), and open minicom. If you type on your keyboard, something should appear on the terminal. Remove the wire between Tx and Rx, verify nothing appear in your minicom terminal when you type. Connect the power to the PowerComms card anb switch on the power supply. If you type something in the minicom terminal, it should appear. RepRap shopping website has just appear online, this is the place where we’ll be able to buy parts to begin with the RepRap project.